Published, with the contribution of the "Banca di Credito Cooperativo" - Area Pratese, in occasion of the campaign associates 2007. The volume consists in the reproduction of a booklet handwritten from the young Federigo Melis and found in his archives. 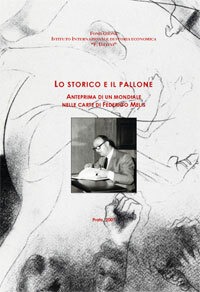 Written in years Thirt, it is dedicated to the debut (1910-1932) of italian football team. Thanks to the availability of the Museum of Soccer, the volume contains reproductions of some period pictures.